Once Dr. Magoo’s Adventure has loaded, you are going to find in it a wonderful game, with modern and highly detailed graphics, and which is offered by Microgaming on their platform. The Dr. Magoo character was created way back in the 40s or 50s for an animation movie, but the developers made it their own in this case, and decided to offer us their own take on his adventures. It’s a slot machine with a modern look, with 5 reels and 20 bet lines. 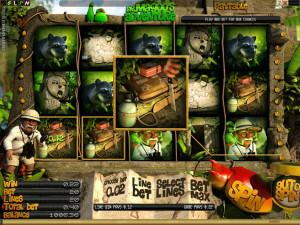 The slot’s features are based mostly on the expanding wild, the free spins and a scatter icon. At 5,000x, I’d say that the prizes offered inside are at least decent. 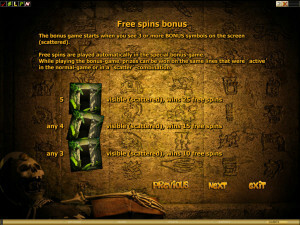 The feature list includes in this case an expanding wild that is available on a single reel, a scatter symbol and free spins. A single reel gets the honor of seeing the expanding wild appear on it. It’s the 3rd reel that is used for this purpose, and on it you will notice at times a symbol with two green birds, one thin, the other fat. If the wild does appear on that reel, it takes over the entire line, expanding on the three available positions. You get three wilds at the same time, and hopefully they will be needed there and not somewhere else. 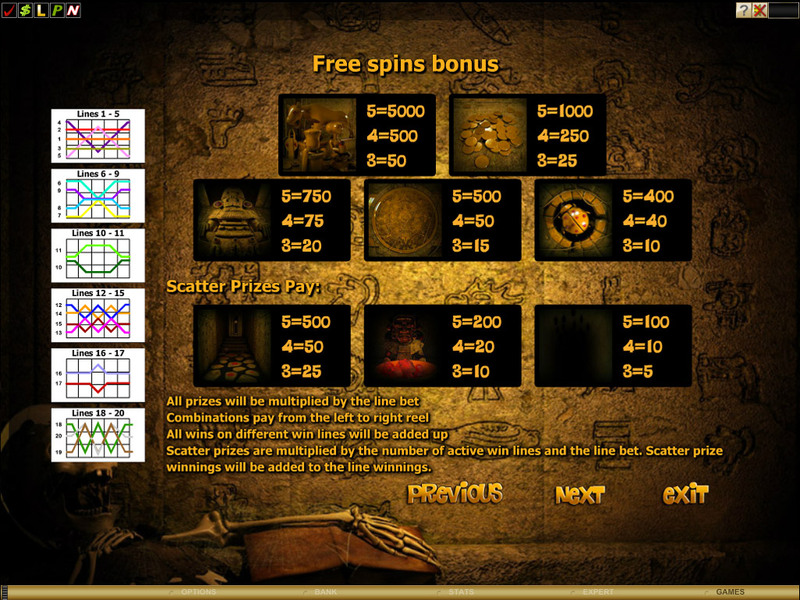 The scatter symbol, which shows you the Temple Entrance, will be the one responsible for getting the free spins started. 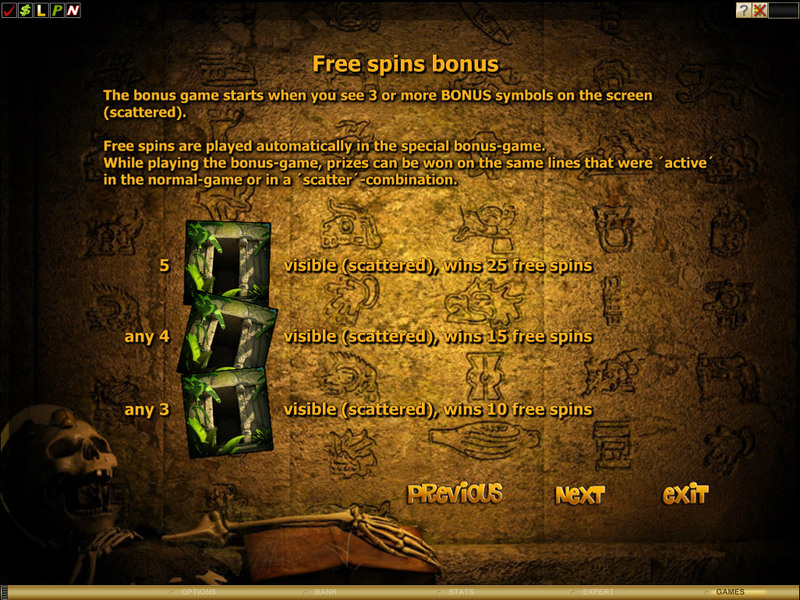 Have 3, 4 or 5 scattered Temple symbols on the reels, even scattered in random locations, and you will receive 10, 15 or 25 games for free. Free games come with their own set of symbols, the action now taking place inside the temple, not outside. You have various images of rooms and objects from the temple, with five icons being regulars and three being scatters. Dr. Magoo is now the scatter symbol which can bring you additional free spins. Have three to five Dr. Magoo scatters present, and you get another 10 to 25 free spins. Whatever bet you decide to go with, it will be placed on the 20 lines of Dr. Magoo’s Adventure. You pick the line bet and the number of lines that will be active. The rewards are best when coming from the Dr. Magoo symbol directly, as its five symbol combo will pay 5,000x the line bet back to you. 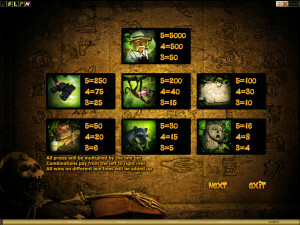 A lot of things are going on at once in Dr. Magoo’s Adventure, a truly modern slot, with high quality graphics, with 3D characters and creatures, with a theme that is inspired by the adventurers like Indiana Jones, though it gives you Dr. Magoo instead, a much tamer version. I’ve found the high quality graphics and the mix of adventure, danger and treasure quite interesting. 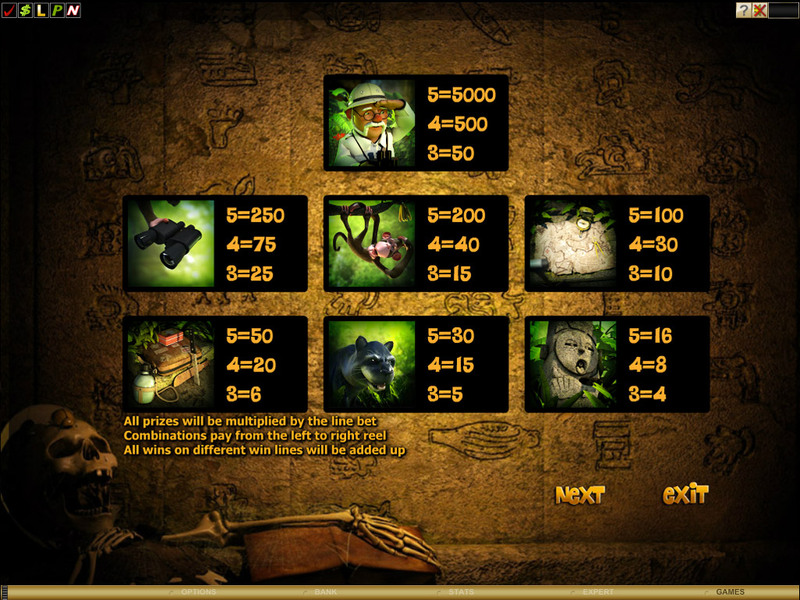 Symbols: Birds (wild), Temple Entrance (scatter), Dr. Magoo (5,000x), Binoculars (250x), Monkey (200x), Map (100x), Luggage (50x), Panther (30x) and Stone Idol (16x). The game is fun to play, and you should try it out both because of its graphics and the features which you will experience inside. You will find Dr. Magoo’s Adventure at any online casino which chooses to use software from Microgaming, playable either for free or for real money.